Discount School Supply of Monterey, Calif., is recalling about 2,200 sets of Colorations brand extra-large crayons. The red crayons in the multi-color sets can contain glass, posing a laceration hazard. The company has received two reports of a red crayon with glass in it. No injuries have been reported. 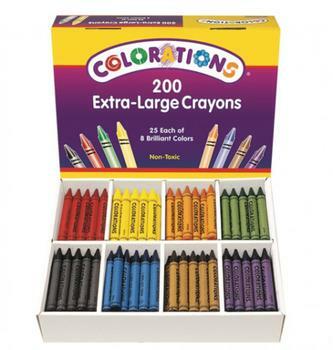 This recall involves Colorations brand 200 extra-large crayon sets, including 25 red crayons. The extra-large crayons measure about 4.5 inches long and .5 inches in diameter. They were packaged in a purple and yellow box with the Colorations logo printed on the box. The crayons, manufactured in China, were sold exclusively online at DiscountSchoolSupply.com from June 2017, through October 2017, for about $36. Consumers may contact Discount School Supply at 800-338-4430 from 8 a.m. to 8 p.m. (ET) Monday through Friday, by email at recall@discountschoolsupply.com, or online at www.discountschoolsupply.com and click on “safety information” at the bottom of the page for more information.